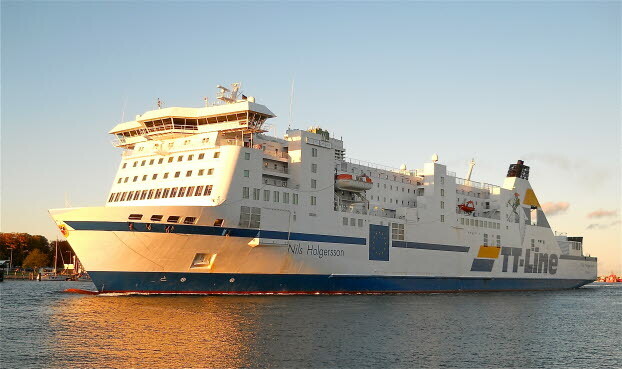 TT-Line – 10% rebate on your ferry trip to/from Sweden. Enjoy your waterway to/from Travemünde (DE) –Trelleborg (SE), Rostock (DE) –Trelleborg (SE) or Swinoujscie (PL) – Trelleborg (SE). Use one of TT-Line’s daily departures and get 10% rebate on all regular ferry tariffs (up to 14m) and cabins. This offer is valid until 31.12.2017 and cannot be combined with other offers, rebates or packages. When you book online you can save 14 EUR. Indicate your campaign code 681693 when booking online www.ttline.com, per mail buchung@ttline.com or by phone +49 (0)4502 801-81. TT-Line welcomes you on board!